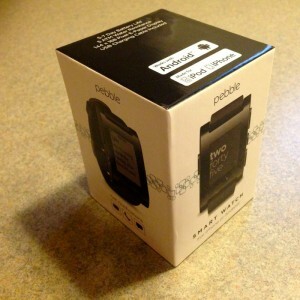 About 2 weeks ago now, I was lucky enough to get my hands on a new Pebble Smartwatch (disclaimer: I was provided this watch for free as part of my gig as an ambassador for the San Francisco Marathon – however, this review is entirely my own). 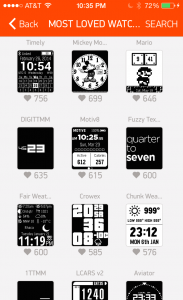 If you’re not familiar with the Pebble, here’s the short version of what it is and what it can do: it’s a Bluetooth-powered “smart” watch that connects to your iPhone or Android phone, and can display notifications and interact with apps on your phone. The Pebble is being marketed especially towards runners, offering compatibility with popular apps like RunKeeper and MapMyRun. Plus, the battery life is 5-7 days. 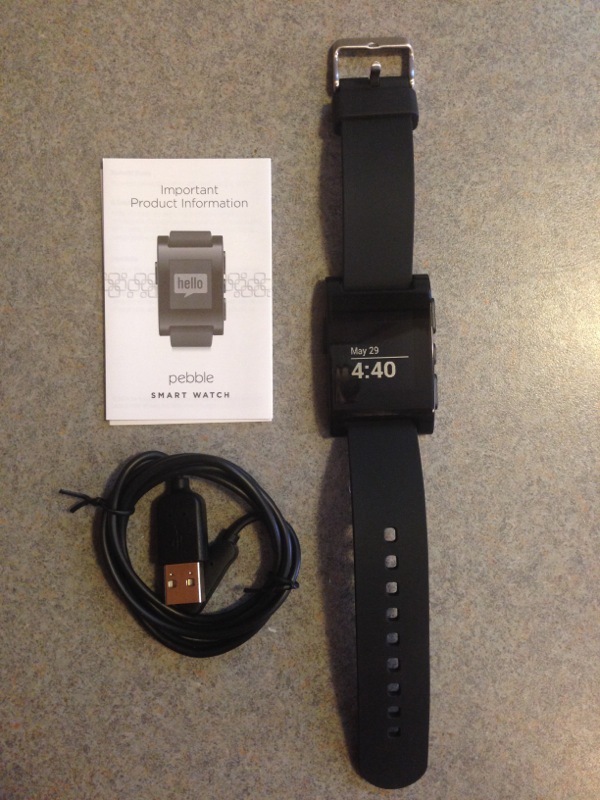 Here’s what comes in the box: the watch itself, power plug, and a simple “getting started” guide. The watch itself looks very nice. 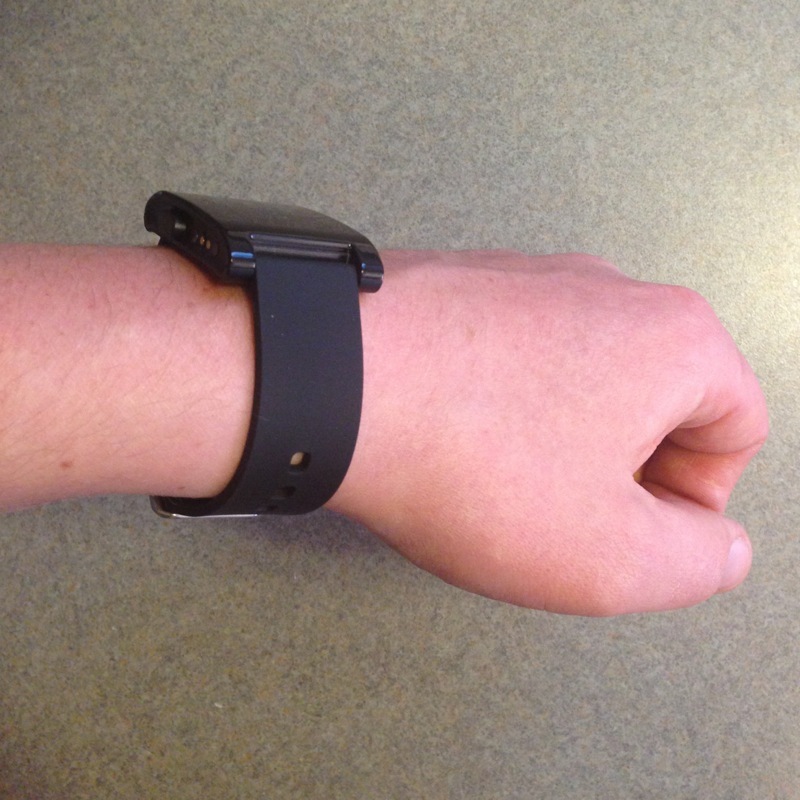 The body of the watch is made of plastic, but it doesn’t feel cheap at all. It’s a relatively slim design, especially compared to most GPS watches, that are typically pretty large and clunky. I was also impressed with the power plug, that simply connects via magnet (similar to Mac laptops), so you don’t have to fumble with getting it connected just right. 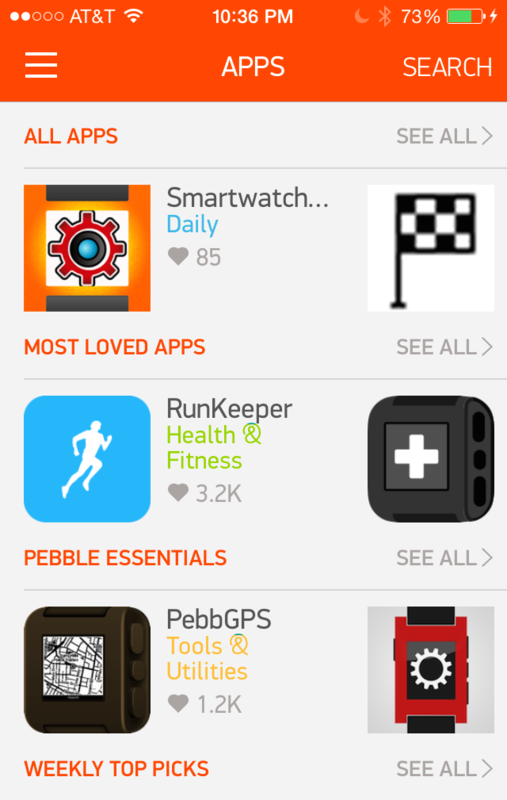 Pebble has teamed up with the San Francisco Marathon, and they will be creating an app specifically for race day information and real-time data for both racers and spectators. 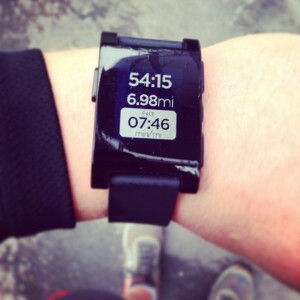 Pebble is also offering some nice discounts for runners. If you’re registered for the San Francisco Marathon, you get $20 off a new Pebble. 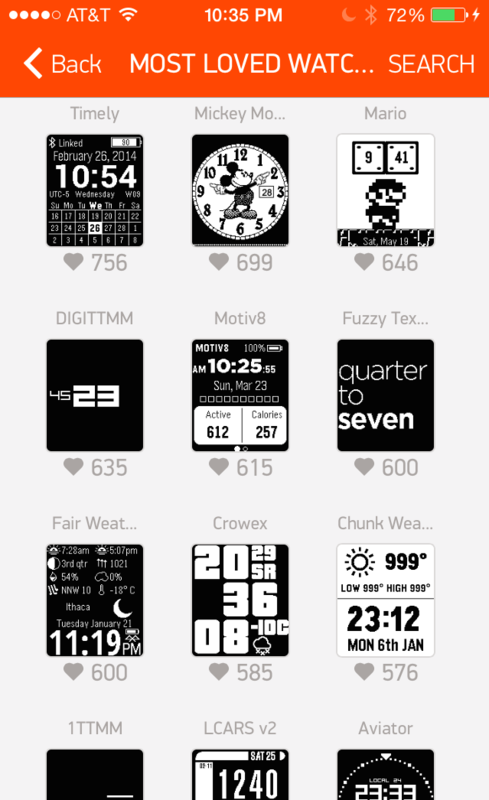 Even if you’re not registered, you can still get $10 off a new Pebble! If you’re in the market for a running watch, but are looking for something that can do more than be “just” a watch, then you should definitely give the Pebble a try.